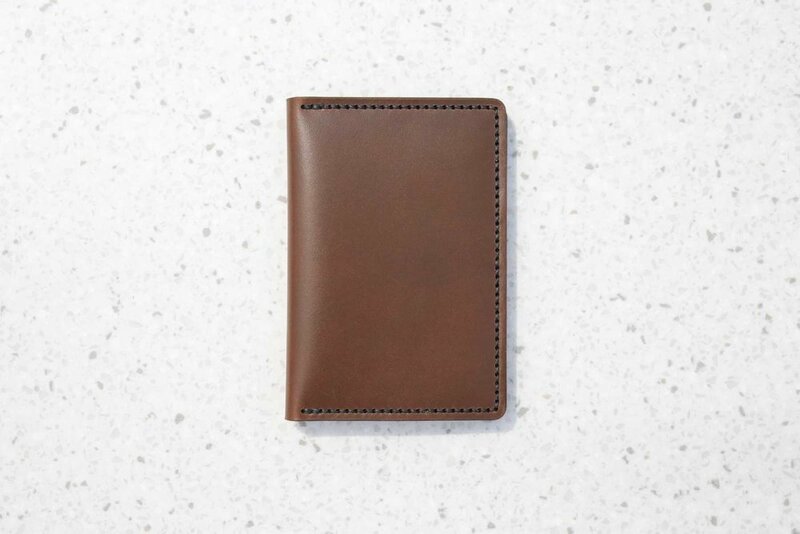 As my fascination for handmade leather goods continues to grow, I found myself coming up with an idea for a leather passport case with card slots for the regular traveler. Without setting a quantity as a goal, I decided to design and make several prototypes of this idea. The design of this passport case should be functional for carrying every day during international travels. This means that it should serve more than one purpose by combining a wallet and a large pocket for holding paperwork. The overall design should be simple and elegant. During the design stage of this project, I decided that the shape would be rectangular with rounded corners to maintain a smooth line throughout the product. With all of my products so far, the saddle stitching is a prominent part of the design and it generally becomes a focal point of the product. I decided to carry this aesthetic that has become part of the Mars Leather Company brand into the design of the passport case as well. 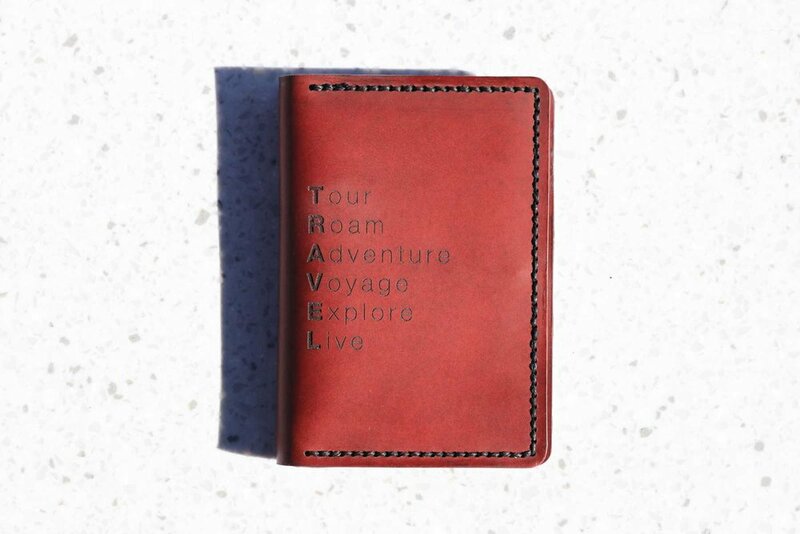 Once the passport case is open, the interior has a pocket on the right side where a passport can either be completely slid inside or the back flap can be held in place to make the passport easily accessible during travel. 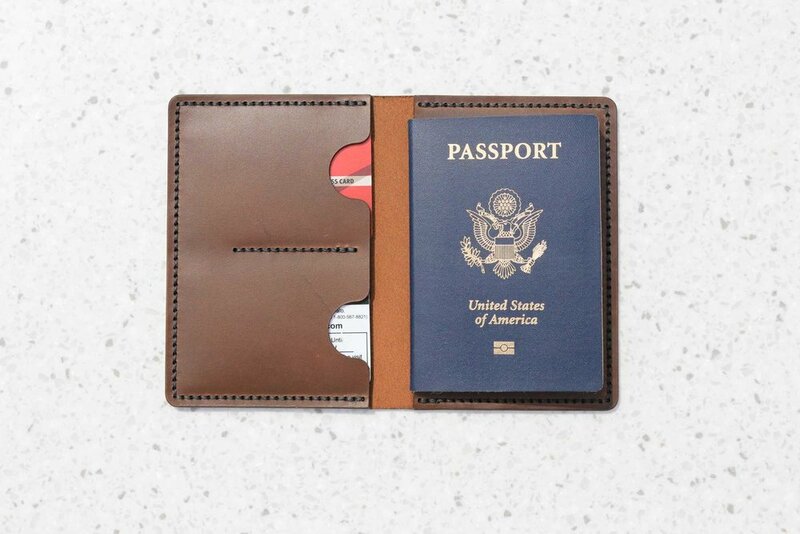 The left side of the passport case has two card slots that’s able to hold multiple cards and a larger pocket behind the cards to hold any paperwork. As I made each passport prototype, I brainstormed an idea for personalizing the cover with words and graphics. Each one was unique and came out beautifully with a light etch in the leather. The ones that I’ve gifted to family and friends have their names engraved on the bottom left of the inside flap. This simple passport case design has worked beautifully for me during my travels. It’s convenient to be able to carry one item that has everything that I need. 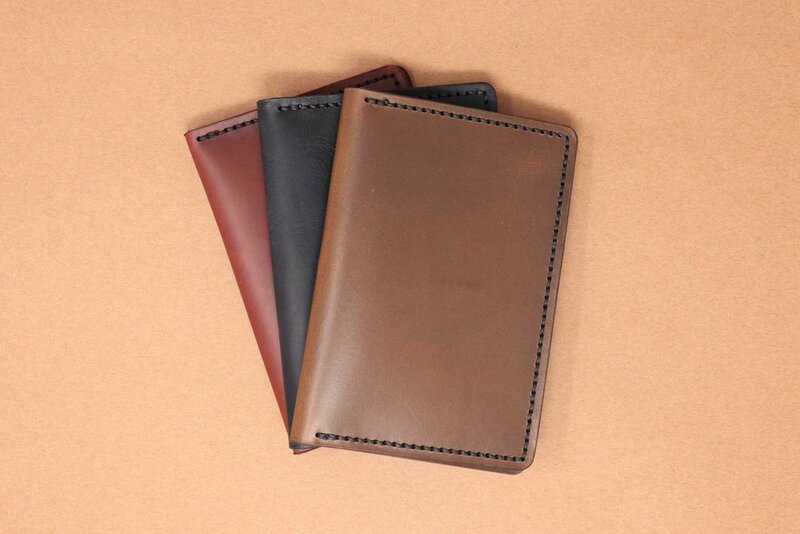 I also love the aesthetic of the passport holder which is very simple and elegant. The stitches definitely stand out in the product. I’m excited to continue designing and making more leather products that I can share with you all as part of my 30x30 series!